At the heart of The Current Gallery & Art Center’s programming is an unprecedented residency program for the Bahamas. Local and international artists have the opportunity to follow their artistic pursuits in our studio space, culminating in exhibitions, lectures and workshops designed to captivate and inform Baha Mar guests. 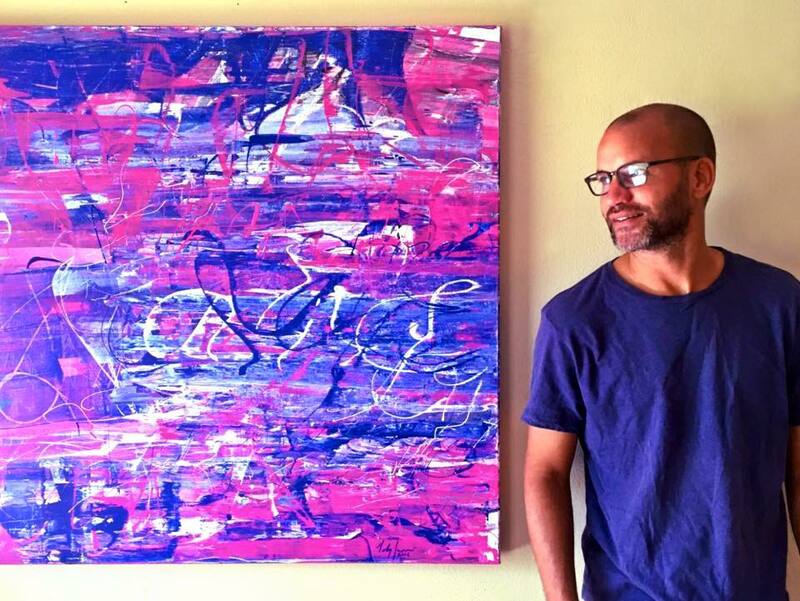 Drew Weech (b. Bahamas, 1984) is a multi-disciplinary artist who works both abstractly and figuratively. Weech explores color as a means to create an illusion of form, challenging viewers to visually deconstruct his textured compositions. His work is often ghostly, attempting to reveal imagery in a slow and deliberate manner. Sue Katz (b. 1962, Boston) is an assemblage and collage artist working and living in The Bahamas. Through dynamic layering of paper, paint and other found objects, Katz creates stimulating surfaces that capture the viewer, presenting new ways of interpreting and perceiving traditional landscape and portraiture. Often times, the imagery in her work reflect past experiences, highlighting a fleeting era of simplicity, humor and irony. Katz received a BFA in Illustration from the Rhode Island School of Design and has exhibited her work both internationally and locally, including galleries in Illinois, California and Arizona. Katz is currently an Artist Resident at The Current Gallery and Studio, working towards creating a large-scale installation for the Fairwind Exhibition. For more information about The Current Gallery and Art Center or to enroll in one of our programs, contact us today!